I have heat! I have a huge repair bill but I have heat in the house! Now I’m worried about paying the gas bill when it comes so I’m using the heater sparingly. The only reason I consented to the repairs was that the air conditioning wouldn’t work either without replacing the board and transformer. (Yes, I thought about Optimus Prime too when he told me that – I’ve been hanging around little kids too much). Speaking of bills to pay, Capt’n … buy a flow’r off a poor girl? No? How about a flower fairy crayon instead then, eh? Click on the link to go to the Etsy shop and purchase at will. They make lovely little stocking stuffers .. I created the mold from a fairy image I purchased long ago, so I think I can be pretty safe in saying they are one of a kind. 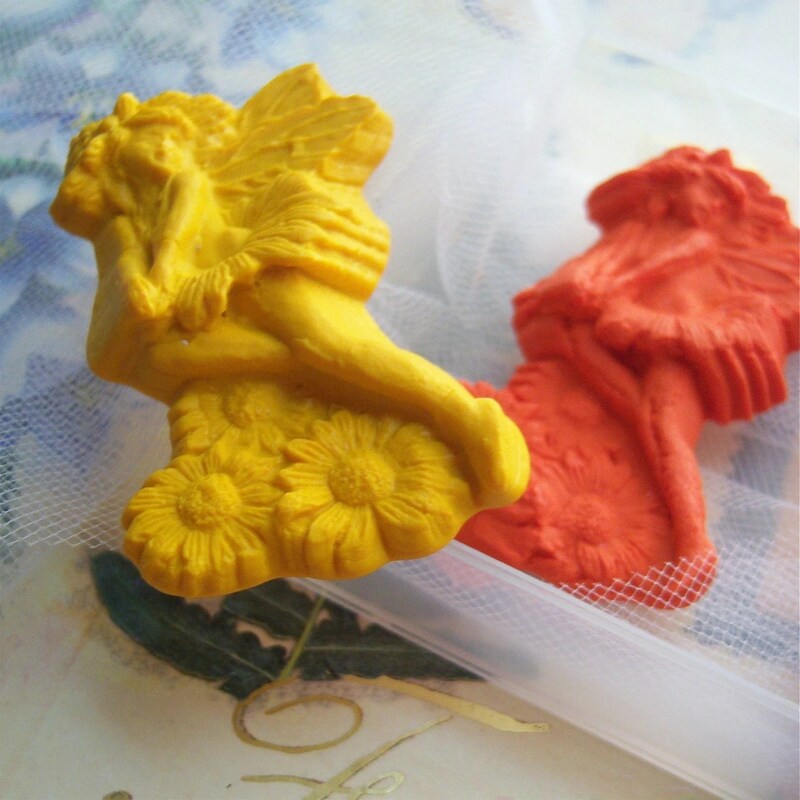 I melt the crayons (100% Crayola so I know they’re safe for kids) in the molds (also non-toxic silicone molds that I made so I know they’re kid friendly) and package them up just for you. I have the crayons available in other colors – just drop me a note. So go, go to the store before I throw your slippers at you. Sorry – I’m in a My Fair Lady frame of mind tonight….